Treatment eligibility department implements terms and regulations of treatment eligibility provided from Medical Services of Armed Forces which Applied in all Armed Forces Hospitals. Employees of the Ministry of Defense, both militaries and civilians and their families who are on the job and retired. 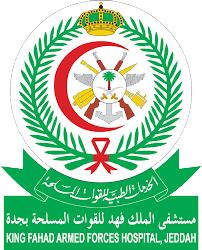 Patients who have been issued treatment orders from His Majesty the King and Defense Minister, for 3 months renewable for one year for Saudies, through medical assessment committee this does not include dental treatment and OB/GYN unless it mentioned in the treatment order. Saudis who was transferred from the general medical bodies of the Ministry of Health in the areas where they live, which their treatment is available in our hospital, by presenting the medical report to the medical assessment committee, their treatment period is for 3 months only and it is renewable for the same period of time not to exceed 12 months from the treatment beginning. Fifth category: Saudis who was transferred from the Medical services at the Ministry of the Interior, which their treatment is available in our hospital, that happens by presenting the medical report to the medical assessment committee, their treatment period is for 3 months and it is renewable for the same period of time only for one time.